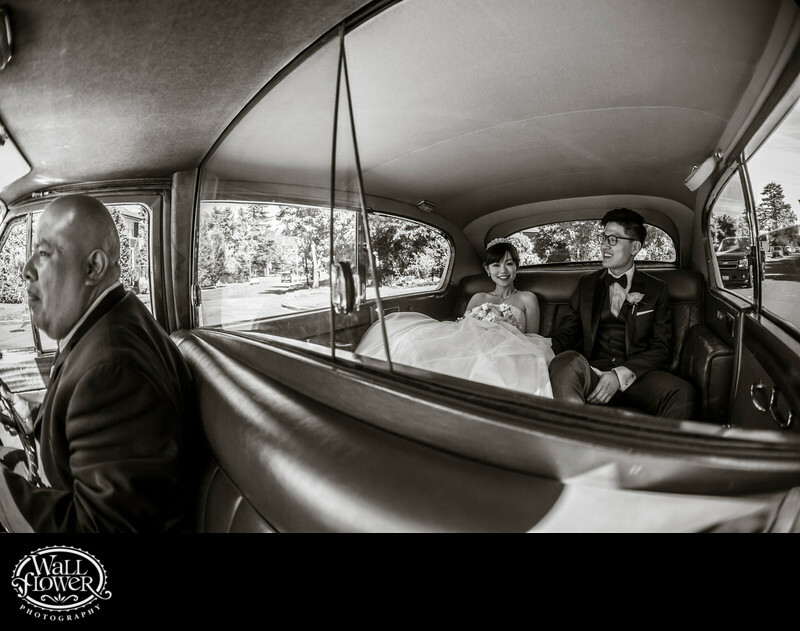 Crammed into the passenger seat of this antique car, I used my trusty fisheye lens to capture a wide enough angle of view to include both the chauffeur and the bride and groom sitting in the back seat. Notice the steering wheel on the right (i.e. wrong) side of the car! We were en route from this couple's wedding venue, the Seattle Tennis Club, to a nearby park to shoot some portraits in the forest.